MANAV SAHAYTA SEWA SANSTHAN is located in GONDA Uttar Pradesh . MANAV SAHAYTA SEWA SANSTHAN is registered as a Society at FAIZABAD of state Uttar Pradesh with Ngo unique registration ID 'UP/2009/0003141' . 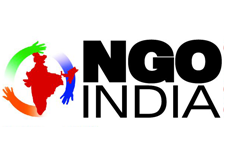 The NGO registration is done by Registrar of Societies with registration number 520 on the date of 30-07-2005, Its parent ORganaisation is PaulFoundation. The Chairman of MANAV SAHAYTA SEWA SANSTHAN is SURESH MISHRA and Chief functionary officer is SURESH MISHRA. Promoters are VINOD KUMAR, TUSIRAM, ALOK KUMAR,KRISNAND.